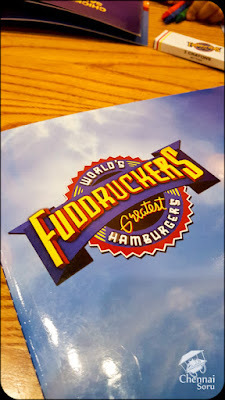 My food stops at Abu Dhabi have been all about having the best burger and this stop at Fuddruckers was no different. Our order was an Appetiser Platter, half a pound Swiss Melt Burger and a Cajun Chicken Platter with a couple of bottomless cokes. The best part about Fuddruckers was the salads counter which is free. 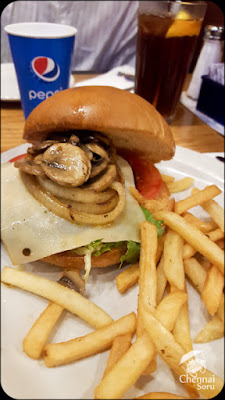 My mom just loved the salads while I binged on my half pound swiss melt beef burger. I was a little cocky when I ordered it. But I did have a tough time finishing it. 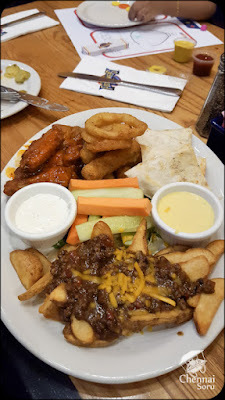 The Appetizer Platter comprised of Chili French Fries topped of with Chicken curry, Crispy Cheesy Mozzarella Breaded Sticks, Onion Rings, Buffalo Chicken Wings and finally a Quesadilla. Apart from the Quesadilla every other element was fantastic. 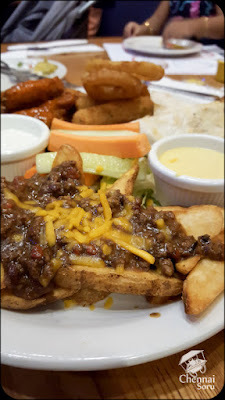 My top favourites were the Chicken Wings and the Chili Fries Wow!!! Moving on to my half a pound Swiss Melt which was cooked to medium was simply amazing. It was one juicy cheesy greasy messy burger. 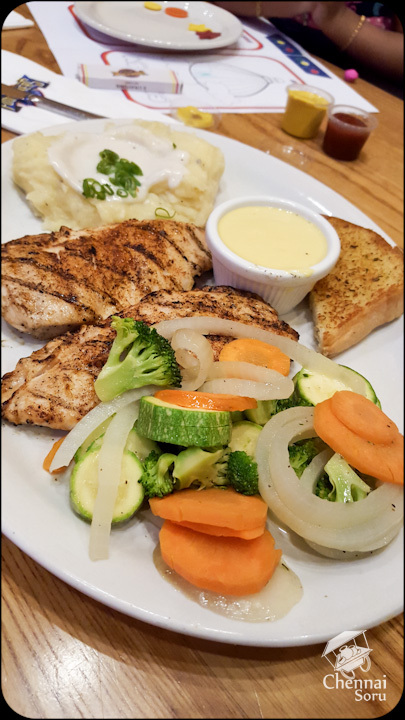 I finished of by sampling a little bit of the Cajun Chicken Platter which had cajun spiced chicken pieces charboiled to perfection. Reminded me of Sparky's back home. 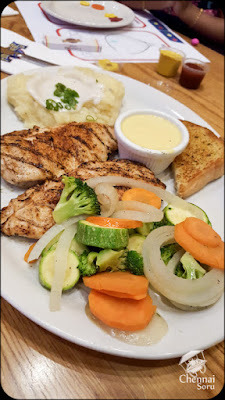 So did the food. This meal cost us about 190 AED, which was well worth the money. Fuddruckers is located in the 1st Floor of Marina Mall, Abu Dhabi. Disclaimer : We paid for the meal.